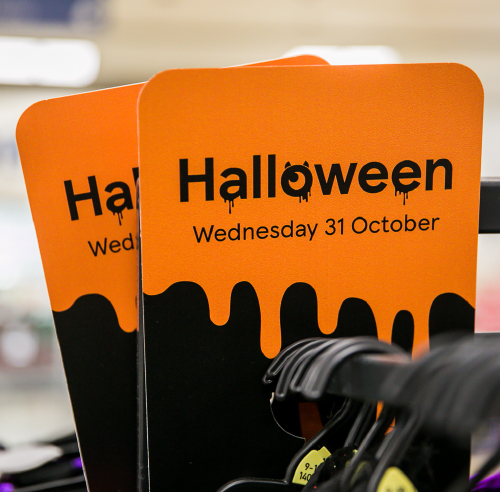 We were asked by the brand team at Tesco to develop a look & feel for Halloween 2018 and to produce a set of accompanying guidelines setting out the basic Halloween 2018 brand elements, such as colour palette, typeface and texture, to inspire and visually align all channels. 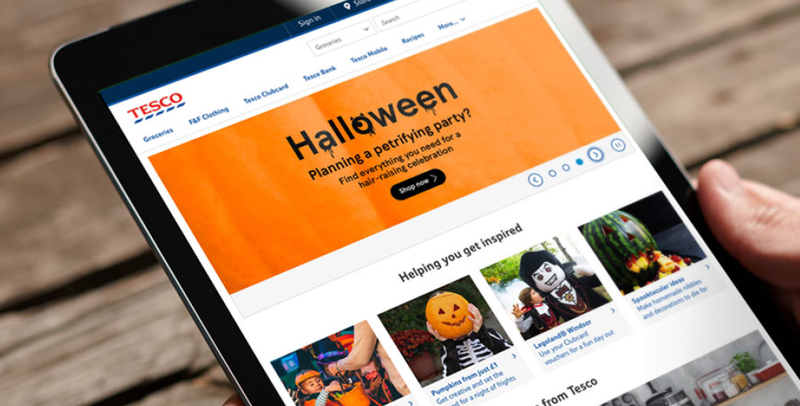 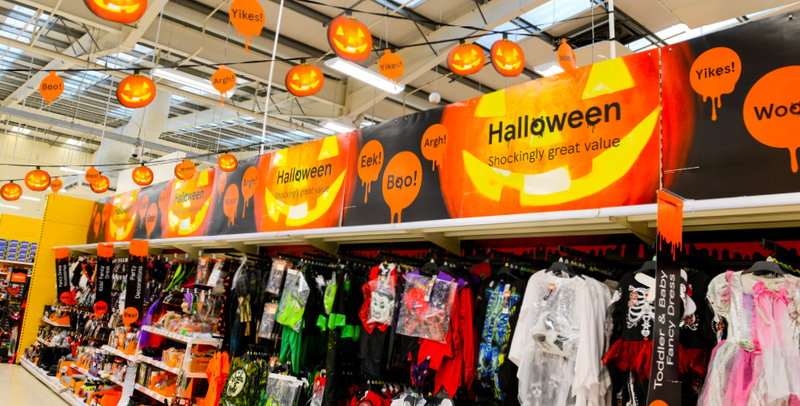 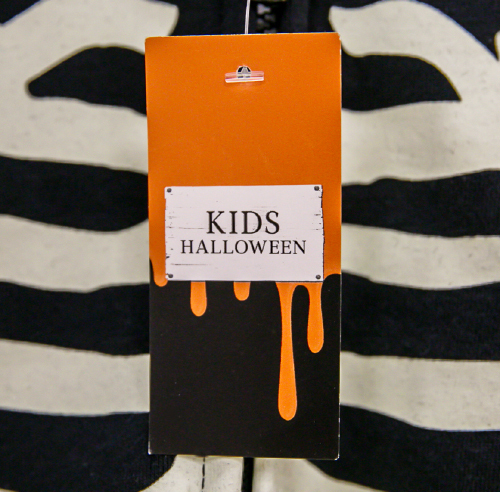 Working closely with the Tesco brand team, we were tasked with injecting some energy into Halloween but at the same time, ensuring the creative remained true to the master brand. 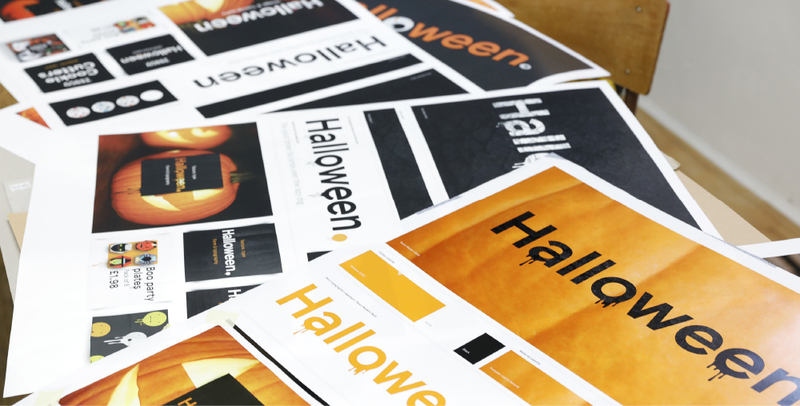 One of the ways we did this was by championing the master brand font, but developing some seasonal Halloween-specific type effects to make it more relevant to the season. 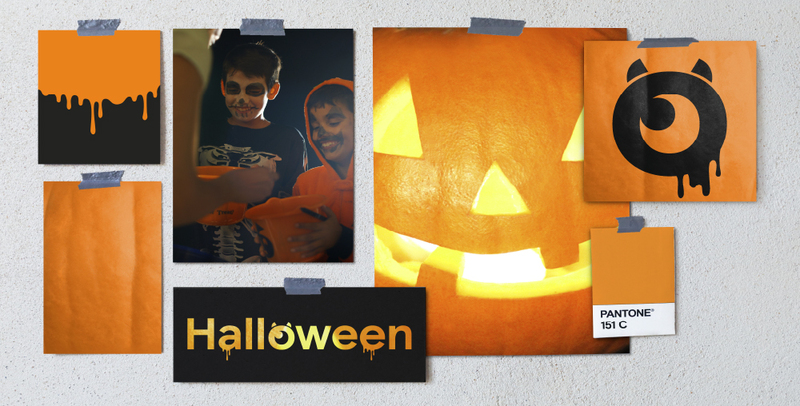 One of the most important parts of the brief was to ensure the toolkit was accessible and authoritative, but not restrictive: it had to inspire, excite and guide those using it, without stifling their own creativity. It was to be a launchpad, not an overly prescriptive set of instructions. 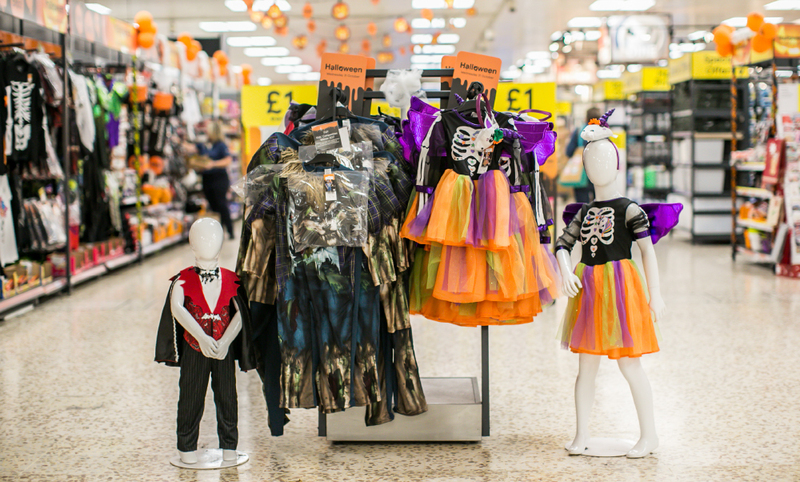 And as a retailer with a broad customer base, we were careful to achieve the right balance between scary & fun, traditional & modern and theatrical & stylised.